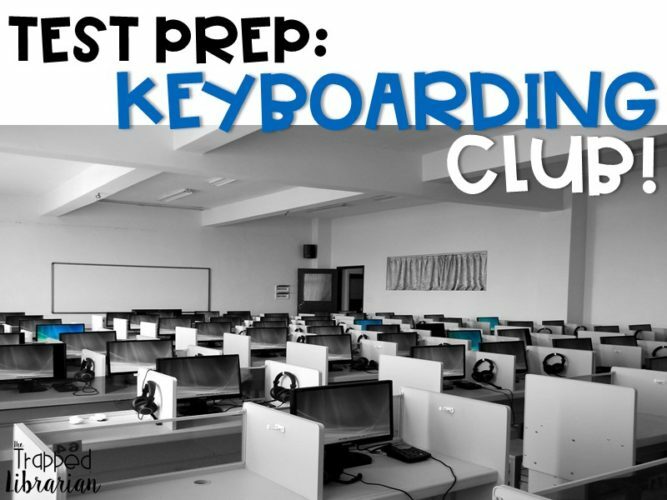 You are here: Home / Technology / Get Your Students Prepared for Tests with Keyboarding Club! 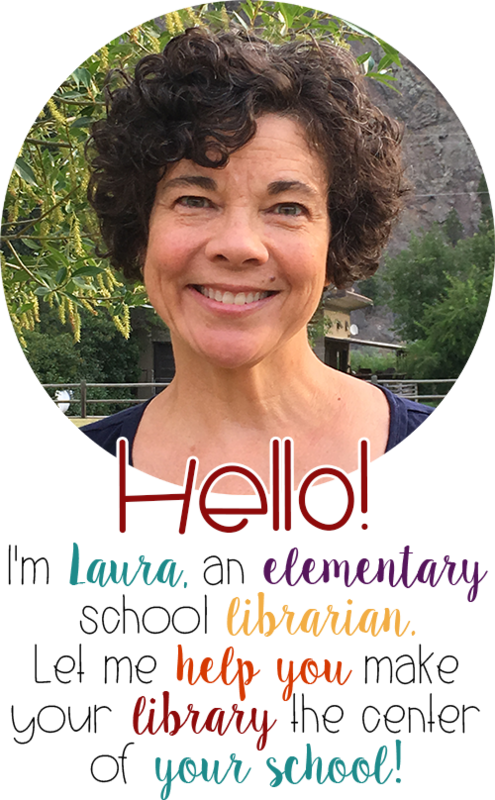 I started a Keyboarding Club for 4th and 5th grade students in my library because keyboarding wasn’t being taught at my school in those grades and I wanted to give students the option of sharpening their skills on the keys before they began the Smarter Balanced Tests in the Spring. I used free websites, and didn’t have my students create the free accounts offered, but just used a simple card to guide them in tracking their progress. Let me show you how you can do this at your school! First we used the free website called Typing Test, where students could take a 1 minute timed test to measure their speed in words per minute. This site offers tests up to 5 minutes and choices for the passages to type (as well as different language options!). 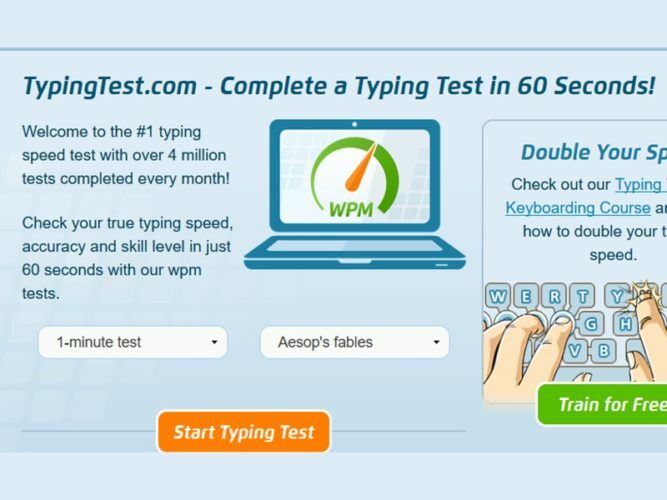 Although there are a lot of ads around the edges, the typing test is easy to follow and the advertisements don’t interfere. We used the Aesop’s Fables passage for one minute. Each student entered the date and their words per minute on their score card. Repeat the test on the last day of your Keyboarding Club to measure and celebrate progress! 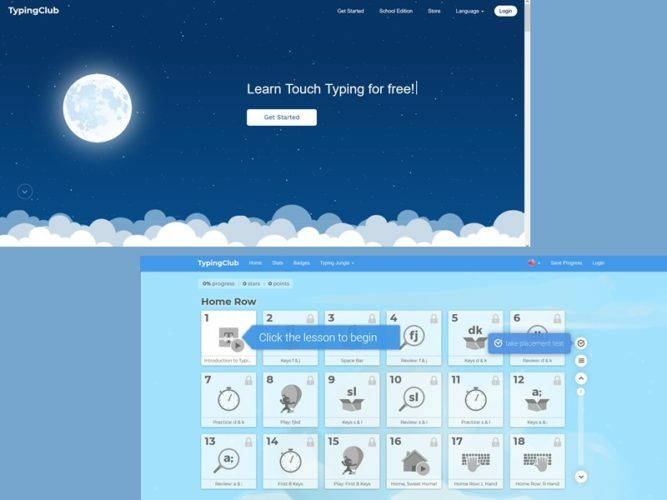 For the main part of our practice sessions, we used another free site called Typing Club (they also offer a paid school version). I like Typing Club because they have clearly labeled lessons and for each session students can jump in where they left off last time. They also provide short videos that come up as needed with quick lessons and tips (the first one is about the home row and finger placement). Every 5 lessons or so, they give a fun game for keyboarding practice, motivating the students to continue! Since I did not have the kids sign up for the free account offered, at the end of each club session they marked their progress on the cards I made for this purpose. We used stamper markers to stamp each lesson completed in a session. It’s motivational and satisfying to see progress grow in this way! We made a goal to try to complete at least 5 lessons per session. After that students could hone their skills using other keyboarding games that I linked to my library catalog page. These games have a few more bells and whistles than Typing Club, but don’t have the visual systematic progression, so that’s why we used them as a supplement. Our Keyboarding Club sessions were during lunch recess and I wanted to give students a reward for giving up their recess time to sharpen their skills, so I always had a fun pencil or bookmark for them to take with them at the end of each session. If you’re like me, there are always items in your prize box that you can pull out for occasions like this! I recommend starting a Keyboarding Club in the Winter or early Spring. The first time I did this I waited too long and lots of other activities (and the nice weather) were competing for my students’ attention. Besides, the earlier you start, the more practice your students will get and that can only help them when testing season rolls around! 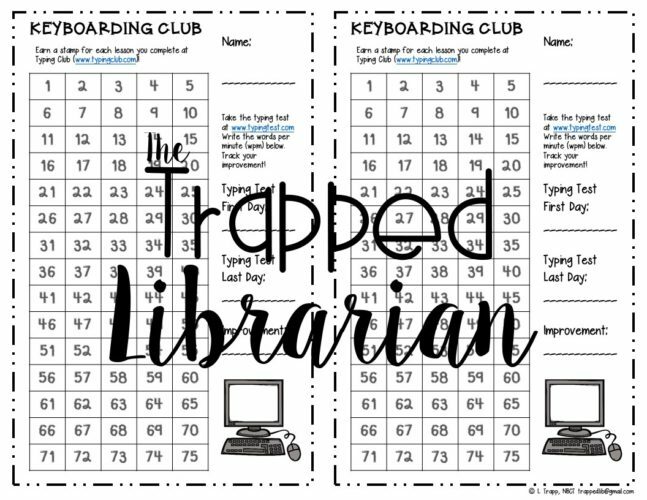 If you would like to try a Keyboarding Club with your students, grab my free Keyboarding Club Scorecard below! What do you do to help prepare your students for their standardized tests? Let us know in the comments below! How long were your sessions? You mentioned you attempted 5 lessons each session. Hi Beth! We had about 20-30 minutes per session. The kids went at their own pace, of course. The keyboarding lessons were pretty short!